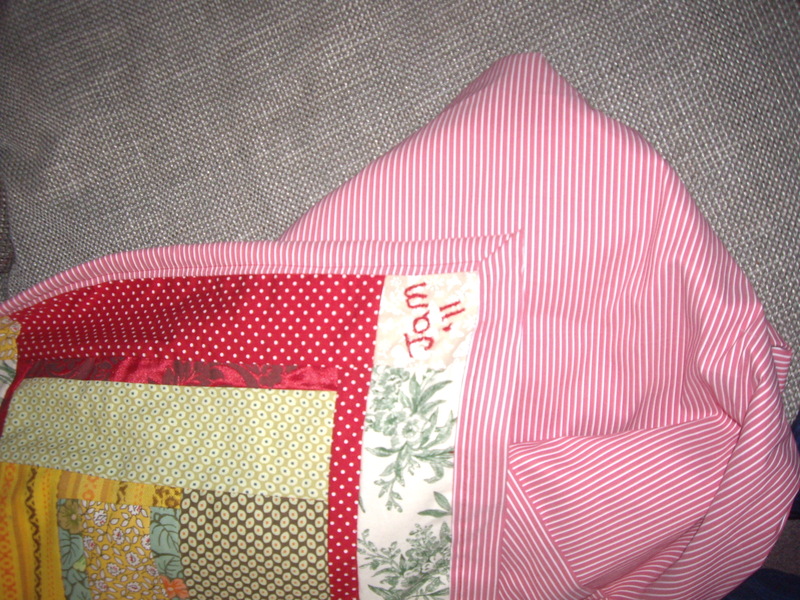 You are here: Home / General / Quilting Genius!! Remember me telling you the other day about my friend Jamie who learnt to quilt with me on Saturday afternoon? Well, he’s only just gone and finished his first quilt off in record time! It’s for a double bed – Amazing! 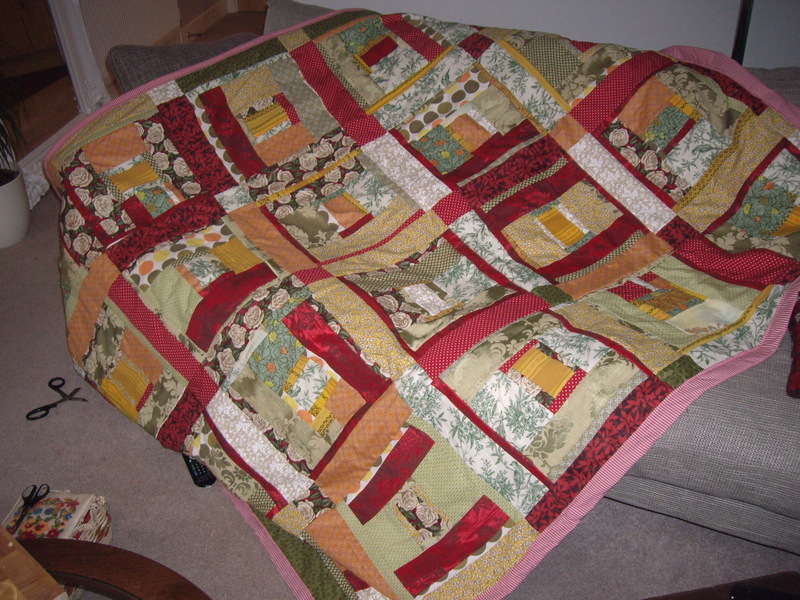 And he’s kindly allowed me to show off his new quilt to you all… Isn’t this impressive? Jamie’s inspiration was a woolly yellow pillowcase that his nan had always had in her caravan and reminded him of summer holidays spent with her, added to this are the left over dark red floral fabric from the curtains he made for his first home. 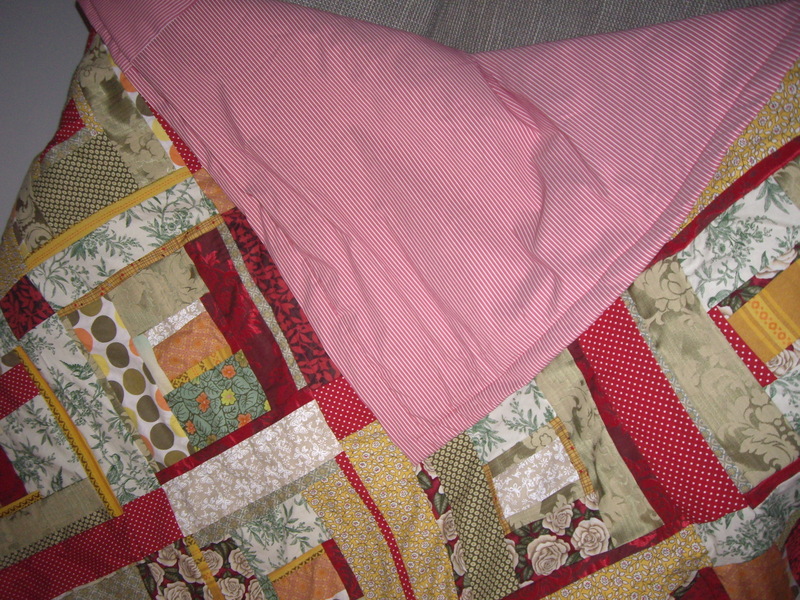 The rest of the fabrics are a mixture of scraps that we got to take home with us from the quilting class and from Fabrics Galore (Battersea, London).